Mish Mash: February Inspiration Board...Wood You Be Mine? This year I started a monthly series of inspiration boards over at my Pinterest site. Each month I'll select a group of images that I've collected from my various Pinterest boards and use them as inspiration on a whole new board. February's inspiration board is called Wood You Be Mine? I was inspired to create this board after seeing this image below. It reminded me of all the Aspen trees we saw in Colorado last Summer while riding our Gator on some mountain trails. We'd see carvings on trees just like this. 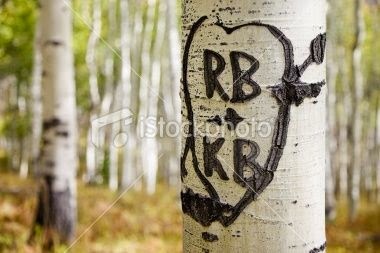 Although we wouldn't let the girls carve their initials on any trees, I did find the carvings endearing. So fast forward to February and I thought that hearts and woodgrain would make a perfect pairing. 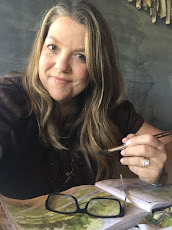 Since so many of us pin a lot of inspiring photos from Pinterest I wanted to share how I actually use the photos to jump start an actual project. I know....actually creating something from a Pinterest pin...novel idea, right? Here's a few photos that I pulled from my February board and how I might use them on a project. 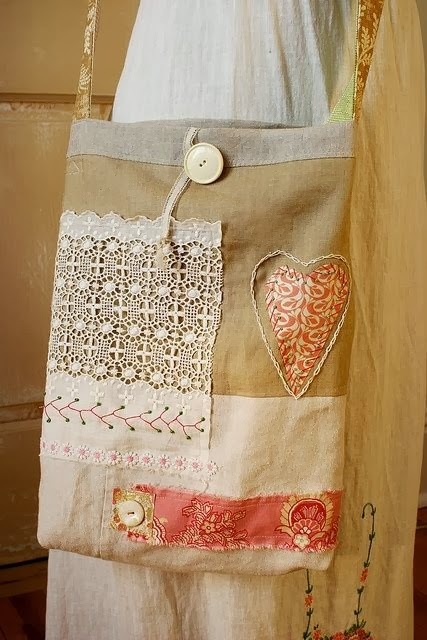 I loved this handmade bag photo and have admired it for some time. To convert the idea to a paper project I like the idea of using the design for a card front. I could use woodgrain paper and maybe a few other patterned papers to create a striped background layer. Then I could use layers of other papers, maybe a ledger paper, and some stitching to finish off my card. I like the idea of the neutral backgrounds and maybe I could create a whole stack of those to use on cards anytime. From this photo I was simply inspired to use more ribbons on a project. I'm giving ribbons a comeback this year on my projects and this is a fun reminder that there are lots of fun ribbons just waiting for me in my stash. The neutral background could easily be switched out with a woodgrain pattern. 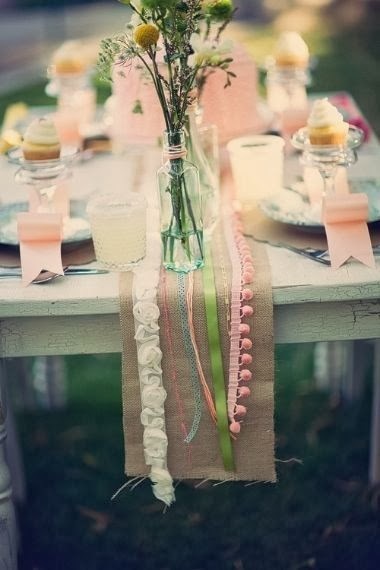 Love the color inspiration from this photo also....minty greens, salmon and the neutrals. From this photo, I'm combining two recent loves....hand lettering and floral clusters. I'd love to just print this photo off for inspiration then get to work on practicing my hand lettering. 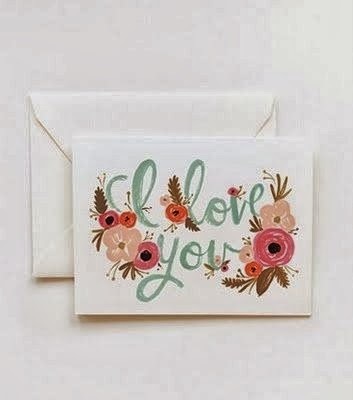 Then I'd love to make some hand lettered card fronts then stamp on some little floral clusters...maybe adding some hand painted floral elements into the mix. Sometimes I really like the idea of the stationery look with flat layers as a contrast to heavily layered cards. I hope I've inspired you today to select a photo from my Wood You Be Mine? 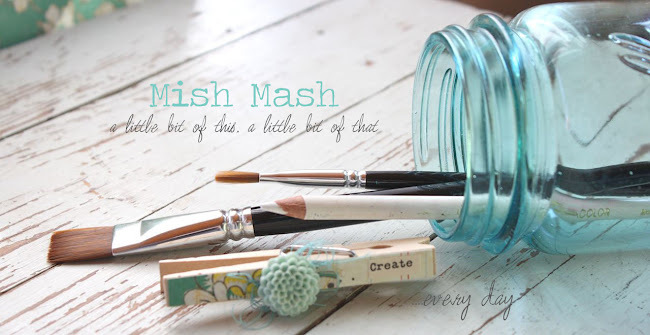 Pinterest inspiration board and create something special. The inspiration is plentiful, we just need to put it into action. I'll be keeping all of my monthly inspiration boards active so they'll be at my Pinterest site from month to month for 2014. Happy Valentine's Day to you all! Hope your day is lovely. We celebrated with a wonderful dinner and little gifts last night....tonight we'll be watching the girls play basketball and will have hotdogs from the concession stand. :) Looking forward to a relaxing weekend with warmer temperatures after tonight. I have been enjoying your posts on your moodboards. It is interesting to see how you take something that inspires you and turn it into something else. I think the first item, the bag,the design would make a good scrapbook page layout!